With being sick for the last two weeks I’ve ended up with a triple post this week. I’ve chosen my three favourite shots from my recent trip to Belgium for this instalment’s theme. 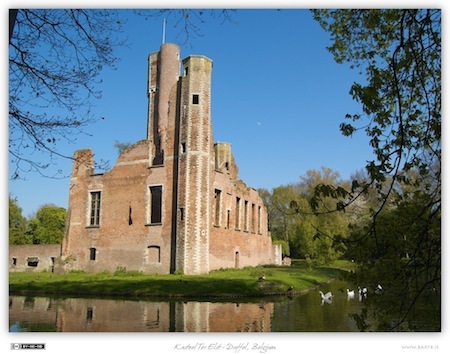 The first shot I’ve chosen is of a lovely medeival castle in my home town of Duffel that is locally known as “Kasteel Ter Elst”. It remained intact right up until the first world war when it was unfortunately destroyed. You can read more about the castle here. Perhaps unsurprisingly, the second shot I’ve chosen is a train shot. In this case showing the work-horse combination of the NMBS/SNCB’s intercity services. Here we see a rake of M6 double-decker coaches (with an M6 DVT in front) being pushed by NMBS/SNCB Class 27 electric locomotive number 2725. Processing Used Topaz Adjust 4 plugin to give the shot a little more ‘pop’. 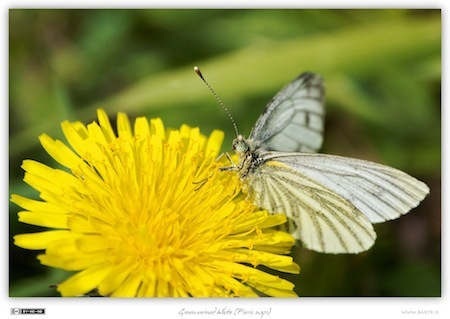 The final image I’ve chosen is a butterfly shot, specifically a Green-veined White (Pieris napi) feeding on a Dandelion flower (Taraxacum officinale agg.). Processing: Selectively applied the Topaz Adjust 4 plugin to the butterfly and the flower.